This month, it’s Breast Cancer Awareness Month, so I’ll be sporting my bright pink nails in aid of the cause. 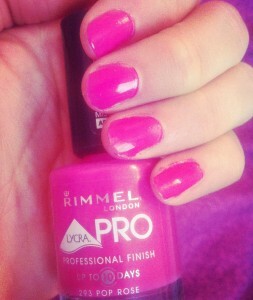 I’ve painted my nails using Rimmels Professional Finish mistake free applicator polish in shade 293 Pop Rose. What is everyone else doing for Breast Cancer Awareness Month? I’ve seen some brands have been launching special collections or donating money from orders online. So lovely to see the fashion & beauty industry helping out!